Actually, part 1 may be the only part of the series. We’ll see. 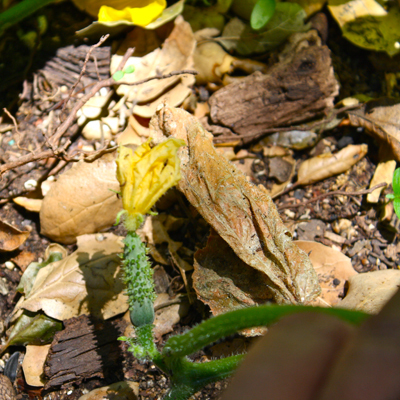 Anyhoo, I planted a garden in my backyard, which has never had a garden in it before. One of the reasons for this is that my backyard is almost completely shaded by huge ancient oak trees, that are at least a hundred years old. Probably closer to two hundred. And protected by the City of Pasadena, which means they will not be cut down, ever. And I would not want them to be, because they are so beautiful. So full of life, from dozens of species of spiders (ugh) to multiple types of birds and feisty squirrels that fuss at the cats when they come outside. The other reason is that my backyard also has many, many huge boulders, left over from the glacier that made the Pasadena arroyo thousands of years ago. Boulders and shade made for a cool looking backyard, but not real hospitable to a garden. There was one corner of the yard that got a decent amount of sun, but my father had put his shed there. My dad has been gone for many years now, and when I moved back in with my mom I realized the shed wasn’t doing anything but giving shelter to many of those spider species found in the yard. Including black widows. Eeeeeeek! With the shed gone, I finally decided it was time to try to grow a garden. I got organic vegetable food, compost and soil. 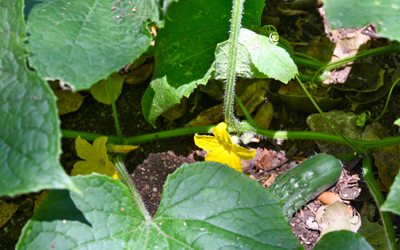 I bought zucchini, cucumber, honeydew melon and watermelon plants. I would have gotten more, but my little garden only measures about 6 feet by 6 feet. For a starter garden, that’s big enough. And I still did not know if I would actually get enough sun to nurture my plants. As it turns out, that little spot is perfect for the garden. There is enough sun, and the partial shading protects the plants from the harsh summer sun we have here in Southern California. My first cucumber! It’s only about 4 inches, but growing fast! 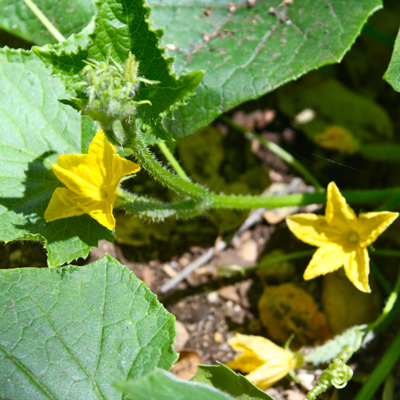 Pretty cucumber flowers, soon to turn into cucumbers. Check out this bad boy. All nubby and prickly. . . sounds like someone I know. 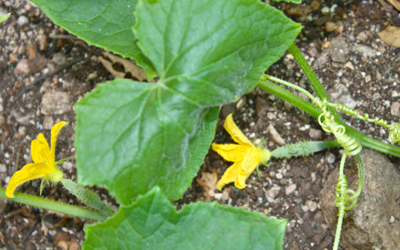 My zucchini plants are loaded with flowers, soon to be an overabundance of squash. Zucchini bread, zucchini cake, pickled zucchini, quiche with zucchini. . . wonder if I can make a zucchini cocktail? How I miss the California oaks, San Gabriel mountains and Pasadena climate! My little container garden currently alternates between reaching skyward, searching for sun and being buffeted by wind and rain. 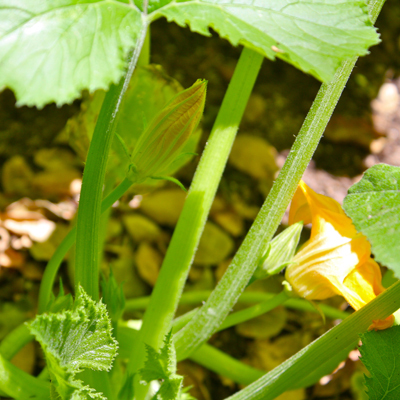 Happy gardening… and harvesting! Love my oak trees. . and playdates too! oooh the trees, that’s what i miss the most about pasadena… i know i will make it there soon and then i’ll be over to have play dates and eat your smokey creations!